Britain's foremost food writer returns with a deliciously simple collection of over 600 ideas for satisfying meals that are quick and easy to get to the table. In this little book of fast food, Britain's foremost food writer presents a wholly enjoyable ode to those times when you just want to eat. Pairing more than 600 ideas for deliciously simple meals with the same elegant prose and delightful photography that captivated fans of Tender, Ripe, and Notes from the Larder, Eat is bursting with recipes that are easy to get to the table, oftentimes in under an hour: a humble fig and ricotta toast; sizzling chorizo with shallots and potatoes; a one-pan Sunday lunch. From quick meals to comfort food, Nigel Slater has crafted a charming, inspired collection of simple food—done well. 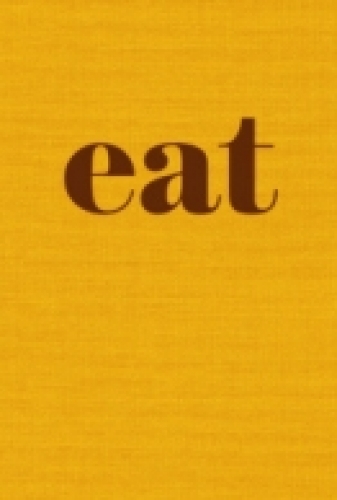 This is the US Edition of Eat. Published by Ten Speed Press.